Tumble Tots is a structured, active physical play programme for children from 6 months to 7 years. It has been designed to develop children's motor skills of agility, balance and co-ordination during their formative years. At the same time, through the programme children develop their self-confidence, independence, self-discipline, self-worth and sense of security and identity. The international success of Tumble Tots has been built upon the commitment of developing children's physical and social skills, and positive personality traits within a loving and caring environment. 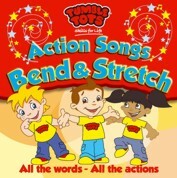 Today, Tumble Tots is now a well-established national and international business. In the UK there are over 450 centres, and a current membership base of 60,000 children. Since its inception in 1979, close to a million children worldwide have benefited from the Tumble Tots Programme.